It was the custom of the Baal Shem Tov to partake of three meals on the last day of Passover. The third meal, which took place late in the afternoon, was known as the "Festive Meal of Moshiach," or Moshiach's Seuda, for on this day the radiance of Moshiach is openly revealed. Join us the first Sunday of the month at 9:30 AM to learn about Tefillin and how to wear them. Then stay with us to schmooze over a delicious Kosher brunch. Enjoy a gourmet buffet dinner and desserts with a full cooking demonstration. Get new recipes and ideas for the summer and all year round. Purchase your cookbook and have it signed by the author. 6 Mondays beginning May 13 7:00 - 9:00 PM Whether you’re seeking relief from stress; you’re hoping for focus, clarity, and connection to a raw and vulnerable place deep within you; or you just want to start each day from a positive, humble, and grateful frame of mind, this course is for you. Jewish wisdom teaches profound techniques to give wings to our emotions and words to our yearnings, allowing us to make contact and communicate with something larger than ourselves and feel comfort and shelter within a reality that’s more whole, more intense, more real, and more beautiful.  A spirited Shabbat experience in the nerve center of the Chabad-Lubavitch movement. Experience a taste of Crown Heights with an insider’s tour of the neighborhood highlighted by a visit to the iconic 770 building, the Rebbe’s Shul and Chabad Central Headquarters. The weekend will be complemented by three gourmet meals daily. Ride with pride! Work in teams to create a united impact for changemakers across the globe. Join with friends to choose a non-profit and bedazzle your bikes, helmets, rollerblades, or skateboards for a one-of-a-kind, musical Parade-A-Thon celebrating Jewish pride. Party and treats to follow!